The first-generation Cherry Mobile Flare HD, which was released in January 2014, was one of my favorite Pinoy smartphones during its time. It was small and simple but it packed a lot of punch. It took the leading Filipino handset brand quite a while to come up with a follow up to that stellar release -- but looking at the very wallet-friendly Cherry Mobile Flare HD 2.0 and seeing its list of technical specifications, I'd say that the wait was well worth it. 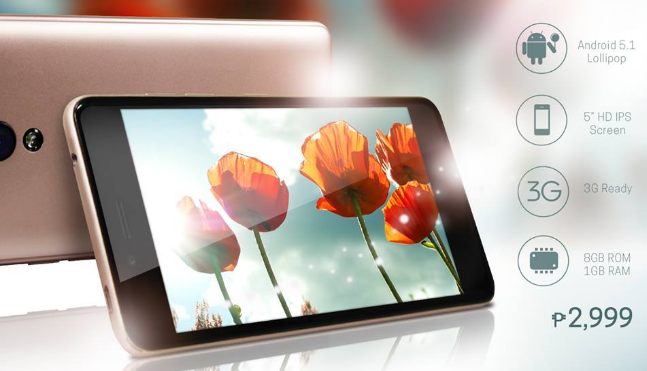 Donning an SRP of only Php 2,999, CM Flare HD 2.0 has a fairly sizable 5-inch HD IPS display, which should provide a more than decent viewing experience. According to our friends from the company, this is the device's main selling point; However, the handset does have a lot more to offer. In terms of imaging, it has an 8 MegaPixel autofocus camera at the back with LED flash that's complemented by a 5 MP front cam for selfies. If you love shooting clips or using Facebook Live, the smartphone's HD video recorder should be a friend you can rely on. At its heart, Cherry Mobile Flare HD 2.0 runs its Android 5.1 Lollipop OS with 1.3 GHz Quad Core MediaTek MT6580 chipset (incorporating four ARM Cortex A7 cores and a Mali 400 MP2 GPU), has 1GB of RAM for multitasking, and comes with 8GB of ROM that the user can easily beef up using the microSD card slot supporting up to 32GB. Powered by a removable 2,200 mAh Li-Ion battery pack, this handset supports 3G HSPA+ mobile data connection and features Dual SIM Dual Standby capability. As for its design, well, just like the first generation Flare HD, version 2.0 also flaunts a very simple design language that's devoid of unnecessary frills and embellishments. If you want your devices to have a no non-sense look, I guess you should find this rather attractive. 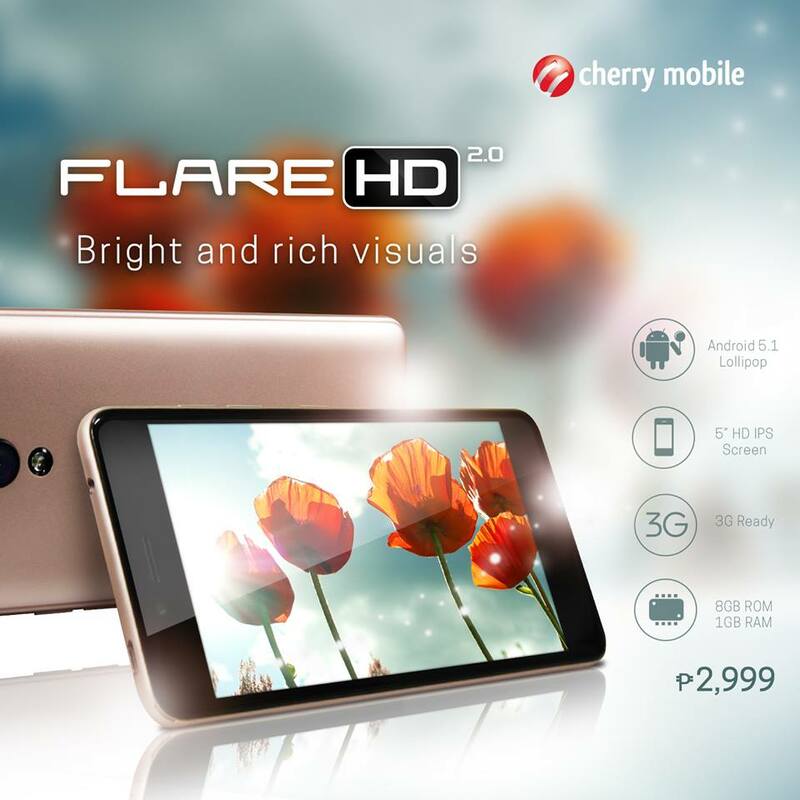 CM Flare HD 2.0 is out now at all Cherry Mobile Concept Stores, Kiosks, and authorized retail partners across the country.